The artichoke season in my garden is coming to an end, and I have been very fortunate with my crop. 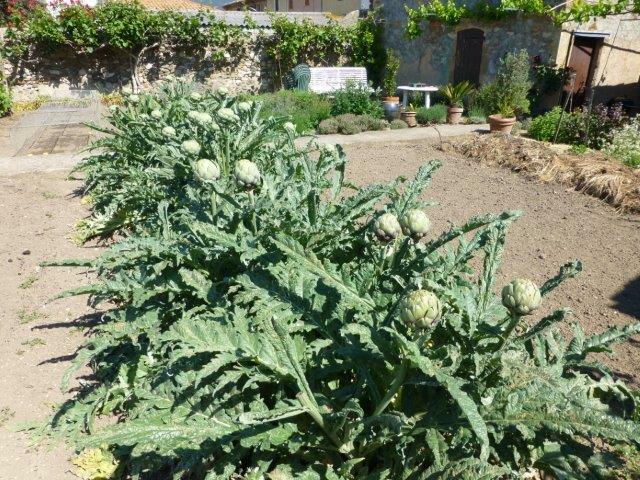 There must have been well over 30 artichokes on the plants, and I have not yet tired of them!! 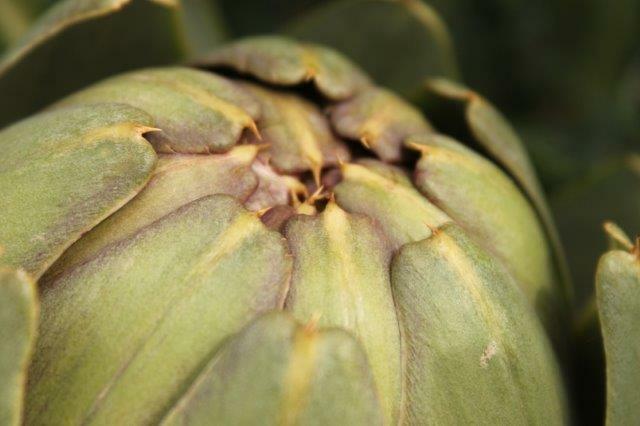 This is the first time that I have tried to grow artichokes, so it is still all very new. I started with three small plants last year, knowing that I would not get a crop until the following year, but that was about all. As soon as the plants were in the ground, the snails and slugs made a banquet of them, and for some time it looked as though I was trying to grow lace :). In time though, the plants grew stronger, and with the judicious use of slug pellets the artichoke plants grew and prospered. In the fall I completed the row with a further two plants. As the winter drew to an end the plants were magnificent, large mounds of silvery leaves. 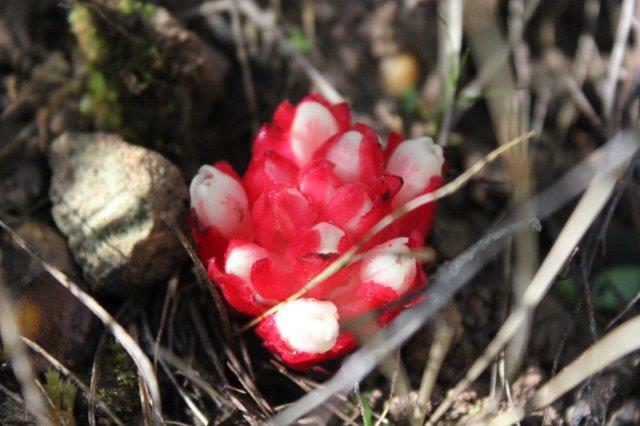 It became very exciting when the first flower buds started to appear. The first artichokes I picked were truly gorgeous to look at. However, when I got them into the kitchen, I found that families of earwigs had taken up residence in my prized vegetables; they had paid their rent by eliminating the greenfly/blackfly population, it would appear. Once I had dealt with the squatters, I prepared “Barcelona Grilled Artichokes” from Patricia Wells’ book “Patricia Wells at home in Provence”. For this delicious dish the prepared artichokes are sliced, marinated in a dressing of olive oil, lemon juice, and garlic, and grilled, for a totally yummy result. The next three photographs are purely gratuitous, and in no way related to the recipes :)! I did unfortunately not have my camera to hand when I was cooking! The day after I was talking to a neighbour about artichokes, and she told me to braise them with potatoes, which I tried, but was not crazy about. The same neighbour also gave me the idea of adding some tomato, so I tried cooking the artichokes with smoked bacon and tomato, which worked wonderfully well! In Claudia Roden’s Middle Eastern Cookbook I found two more recipes. The first used honey, lemon juice and preserved lemons, the second paired the artichokes with broad beans and almonds. 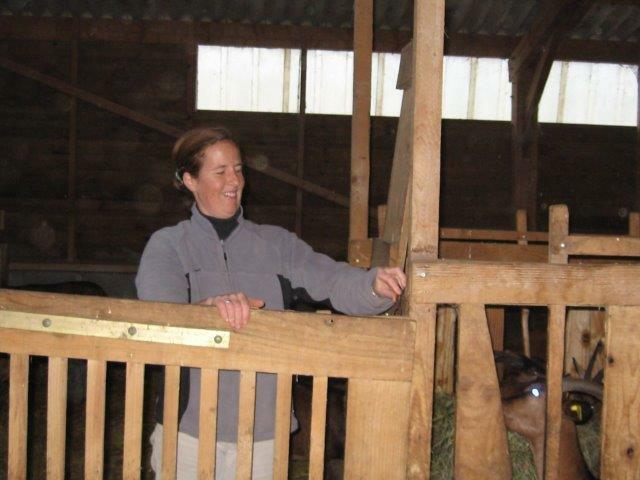 Both produced delicious dishes in their own ways, and I’ll be making them again. My overall favorite dish this year was the artichokes cooked with bacon and tomato and I will attempt to give you the recipe here. Pictures of the progress are at the end of the recipe. 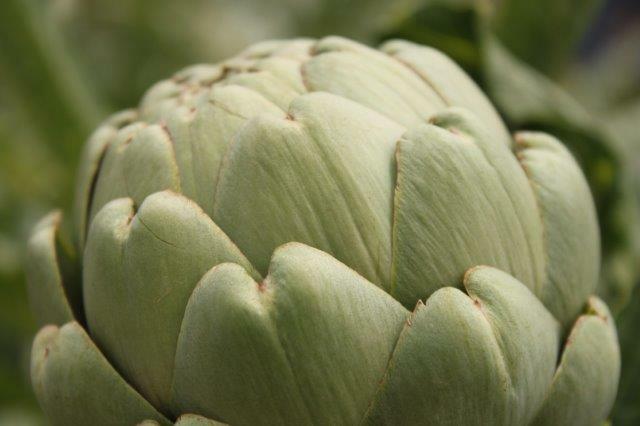 Prepare the artichokes: add the lemon juice to a bowl large enough to hold all the artichokes and add water. Trim the artichokes by snapping off the leaves starting at the stem and working your way up. 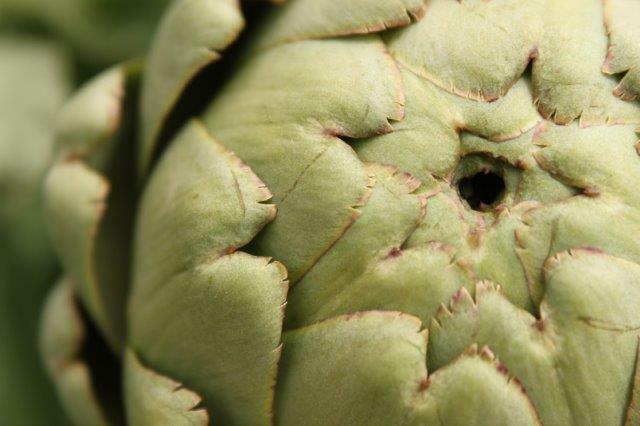 Once in a while dip the artichoke into the acidulated water – the exposed flesh can turn black very quickly. Once the leaves left on the artichoke start to look yellow-ish you can stop and trim the top off with a knife. 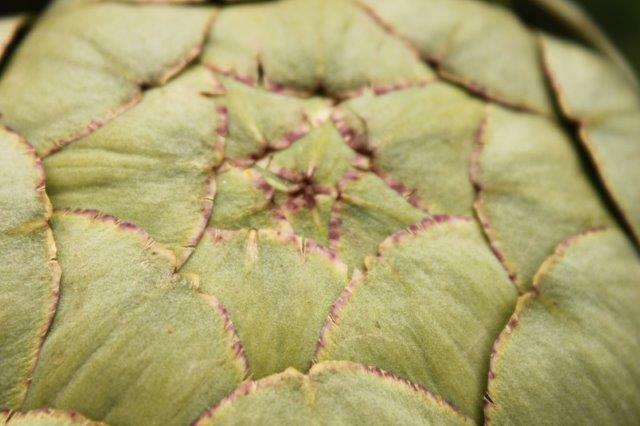 You can probably see the choke now – a mass of fine white hairs at the centre of the artichoke. I imagine that they would make you choke and hence the name? Remove the choke with the aid of a teaspoon, and keep the trimmed artichoke bottoms in the bowl of water. Cut each artichoke bottom into eight wedges. Chop the onion and bacon into fine dice and cook gently in the olive oil until the onion is softened. Add the garlic (chopped or through garlic press) and cook for a minute longer. Turn up the heat and add the drained artichoke pieces. Fry, stirring from time to time until the edges start to brown, then add the chopped tomatoes and season with salt and pepper. Turn the heat down and simmer for 10 – 15 minutes until the artichokes are tender and the sauce is reduced. Note: you can of course use frozen artichoke bottoms for this recipe, which will reduce the preparation time, and will produce very similar results, I imagine! 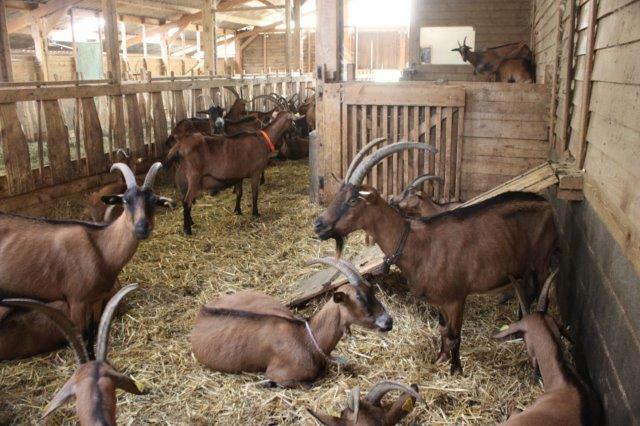 Some of you may remember a post, written by Anne Roberts, and published a few months ago, about a walk, which we took together, in the countryside around Cruzy. If you don’t remember the post you can find it here. 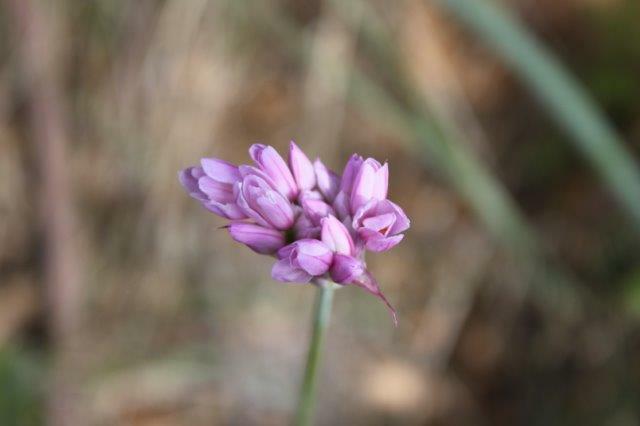 A couple of weeks ago I found myself back in Cruzy, this time for a guided botanical walk. 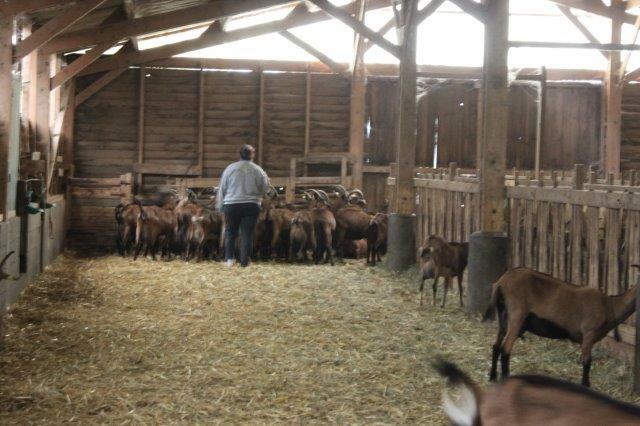 The walk started at the Museum in Cruzy, where everyone met up with Christine Hervier-Roure, our guide. Cruzy being a fairly small village, we found ourselves in the countryside soon after we started our walk, and that’s when Christine started explaining the local flora. At this point I have a confession to make: I had not brought along my notebook to write down the names of the plants Christine showed us, and my mind is not up to remembering all those wonderful names – I’m sorry!! I will add names where I know them or think I remember the correct name. I hope you’ll forgive me if I’m wrong (and feel free to point out the errors)! 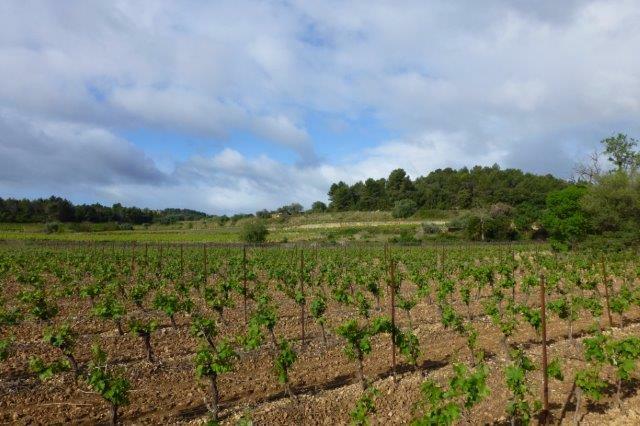 The walk took us across varied terrain – the vineyards had all started to sprout new growth! 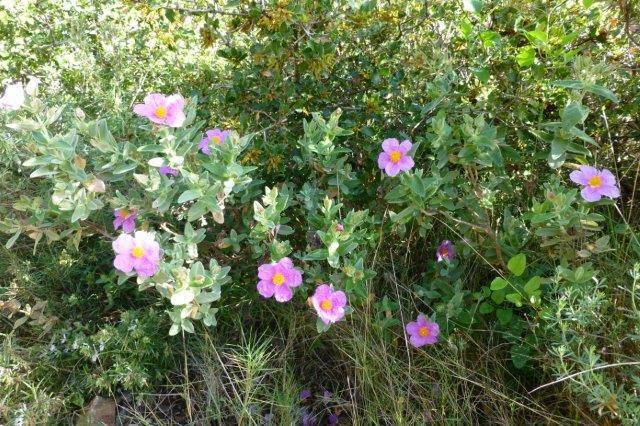 From what I remember, it is a parasite which lives on the roots of cistus plants. 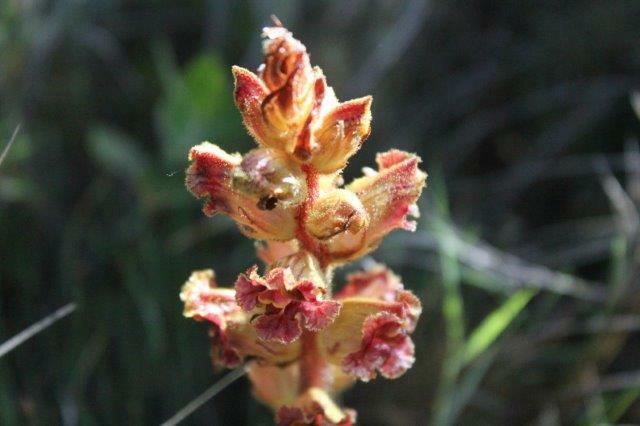 I’m not sure if it is an orchid or another parasitic plant, but I’m thinking it is an orchid. 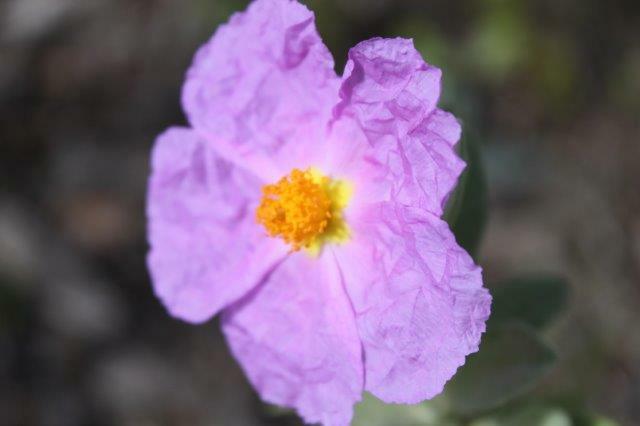 The flowers on this cistus look like they are made of crumpled tissue paper. 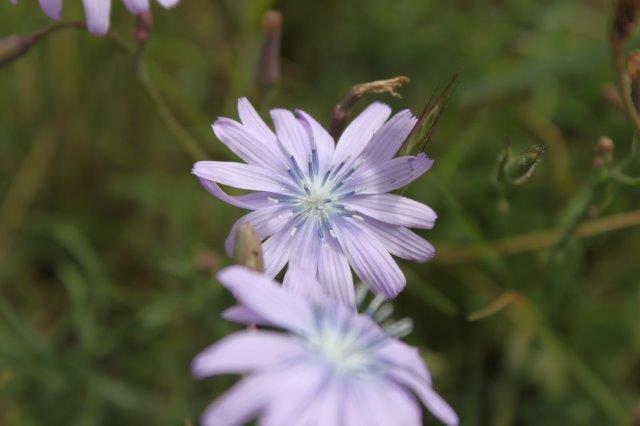 They look absolutely gorgeous and are completely ephemeral – they only last for one day, but they were out in abundance! There was more excitement along the walk as more orchids were discovered!! All incredibly beautiful! Christine paid attention to a lot of plants, and patiently explained how to distinguish them. 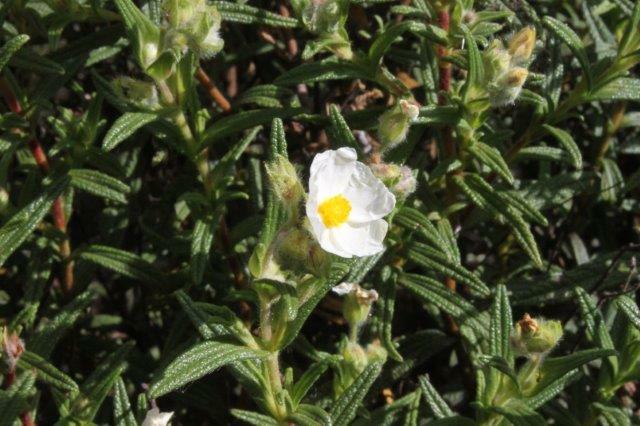 Here is another cistus, this one with tiny white flowers. If I remember correctly this one is called Cistus Monspeliensis. 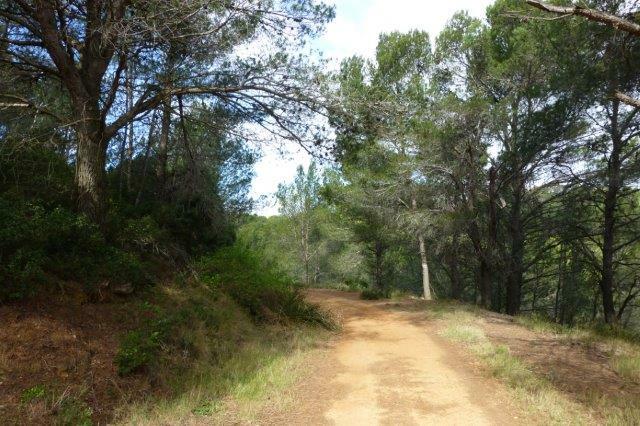 At one point the sun came out, just as we were walking through a bit of pine forest. After walking for just over two hours, Christine brought us to our destination: the site of the dinosaur excavations in Montplo!! The day was the “Journee Paleontologique” and, exceptionally, the excavation site was open to the public. It was interesting to see everyone digging away with screwdrivers, chisels and trowels. Having looked at it all, including examining a fossil with a magnifying glass, I honestly couldn’t say that I could tell the difference between a fossilised bone and a piece of rock – I’d be totally useless at the excavations :)!! The bit of white in the midst of the site is a protective plaster cover over a dinosaur bone, so that it won’t break up when it gets lifted from the site. I wonder if the dog was employed as a “sniffer dog” to find any old bones :)?? 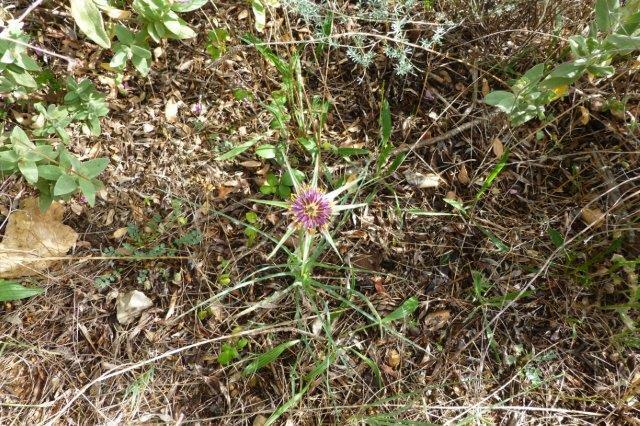 Christine Hervier-Roure has published a book on native wild flora, which is available from the Museum in Cruzy, either in the shop or by mail order. A new book is to be published later this year. La Caunette is a village which is all too often passed by, lying as it does on the other side of the river, on the way to Minerve. 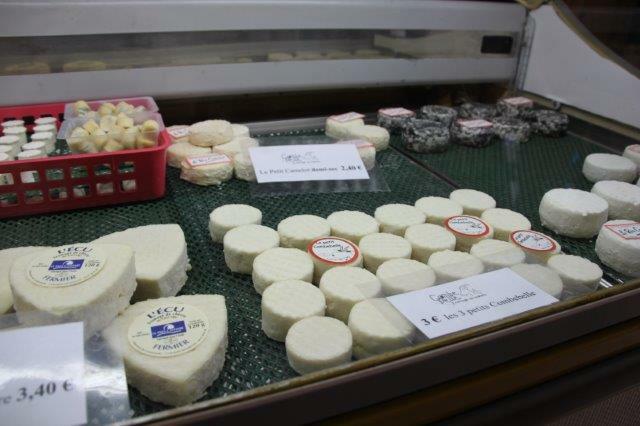 I have good reasons to visit La Caunette on a regular basis, because of friends who live there. 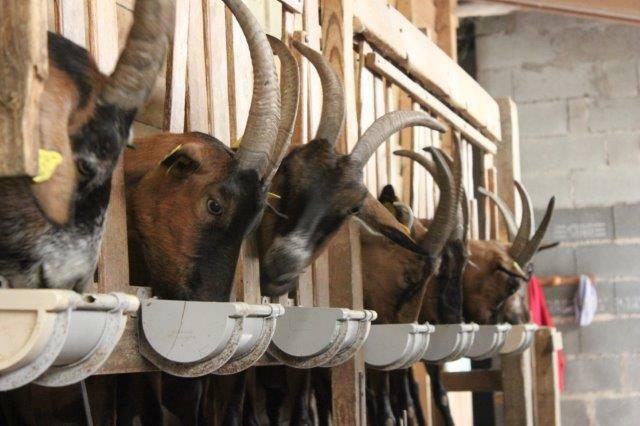 For casual visitors there are a number of attractions which should entice you to stop: one is Restaurant La Cave, which was created by three sisters, Christelle, Frederique and Sophie, in what was their father’s old winery. The building is ideally located on the only square of the village, right across from the Cafe. 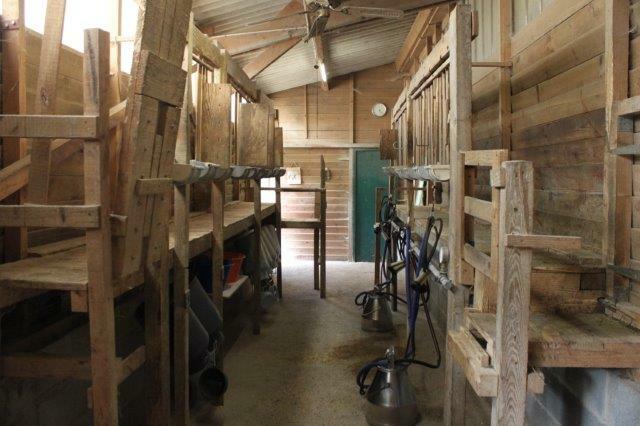 Inside, the old wine vats have disappeared, but the barn-door like entrance still hints at the previous use, and the name is of course a give-away. Inside the decor mixes old charm with modern colours and furniture; just to the right of the door is the old wine press, and the old stone walls and wooden beams are very much in evidence. The chairs are comfortable and the tables laid with nice tablecloths and napkins. Good first impressions are always nice! Once we were settled, one of the sisters came with the menus. The daily menu at La Cave is priced at €15.50 and consists of a starter, main course and dessert, AND includes a quarter litre of wine, as well as coffee! The choices for the starters were Tarte au Roquefort and Cappuchino d’Asperges – the first a kind of Roquefort Quiche, the second a creamy asparagus soup with a topping of whipped cream – both delicious! 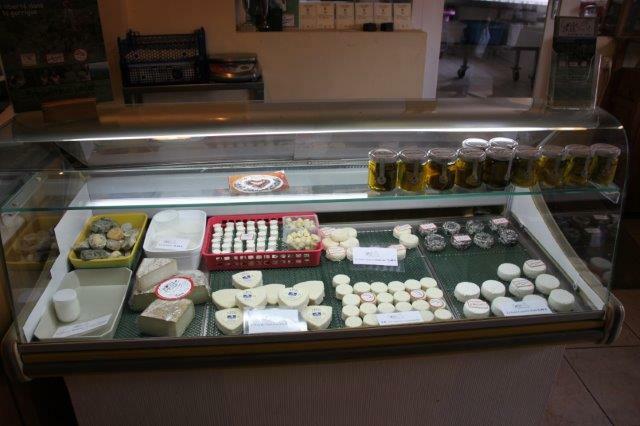 The choices for main course were Seiche aux oignons and Filet de Poulet a la creme – cuttlefish with onions and chicken breast with a creamy sauce. I had the Seiche and it was deliciously tender and tasty. One of my fellow diners was very happy with her chicken! The only thing which could have been improved was presentation! For dessert our little group had Tiramisu aux Speculoos – tiramisu made with spiced biscuits, and I had the strawberry smoothie, which was a perfect end to my meal! After coffee we set off for a stroll around La Caunette. I had not visited the oldest quarter of the village since the roads had been re-laid, a couple of years ago, so was eager to see the improvements (they are good!). A little topography: La Caunette is a rather long village, built between the cliff and the Cesse River. For a lot of its length the village is just one street wide. In the oldest part, the Carambelle, there is a little more space and the houses cluster right up against the rocks. For the adventurous, right at the top there are few steps hewn into the rock, which allow you to climb up to the caves. It is thought that the village grew from those early cave dwellings, and at one point there were troglodyte houses in the village. These days the caves look completely abandoned, but no doubt the land belongs to someone. After we left the Carambelle we meandered past the fountain (La Caunette has very good spring water), and on to the newer parts of the village. On our way back to the car we stopped at the church, which was unfortunately locked. It’s an ancient structure, and very impressive close up. From the cemetery, the views of the surrounding countryside are wonderful. 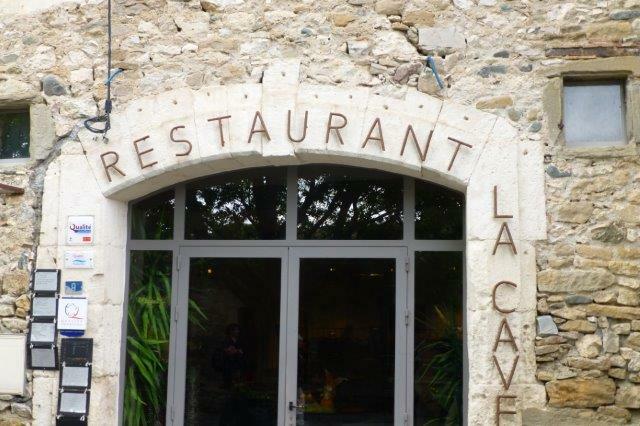 So next time you are headed for Minerve, stop at La Caunette for a little walk, a meal at La Cave or a drink at the Cafe in the square – I promise you’ll not regret it! One of the many pleasures of spring can be found growing all over the countryside – in hedgerows, along streams, sometimes in a garden, but more often growing wild. It is a large shrub, which bears many heads (panicles) of creamy white flowers, followed by black berries in late summer. The flowers have a delicate perfume, reminiscent of muscat grapes. 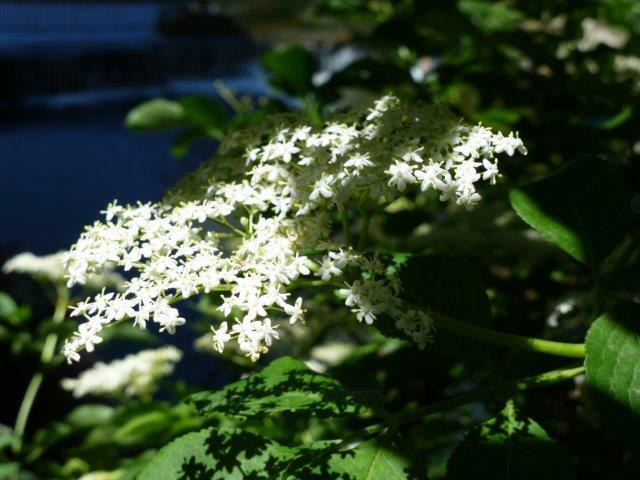 The name of this plant is Sambucus – have you guessed yet what the common name of this plant may be? It’s Elder – often overlooked and neglected, and rarely used these days. But elderflowers can be used to make a number of delicious comestibles, and I am going to tell you about two of them today. The flower heads are made up of many tiny flowers in a complex branching structure, which is fascinating to examine at close range. The season for the flowers is relatively short; in the South of France it starts in late April/early May and lasts about three weeks at the most. In more temperate climes you may find elderflowers as late as June. The first recipe is for elderflower cordial, which captures the wonderful flavour of the flowers, and allows me to enjoy it whenever I want to throughout the year. 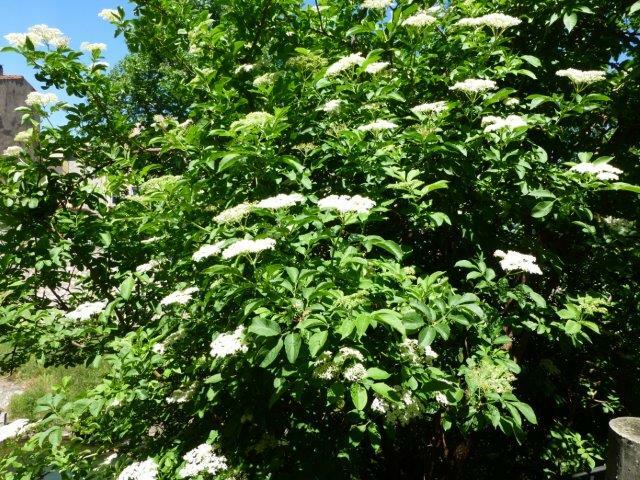 Using elderflowers is something of a tradition in my family – when I grew up there was the most enormous elder bush – well more of a tree, really – in our garden. Making the syrup is very simple, you just need sugar, lemon, citric acid, and elderflowers. As so often, timing is everything as the elderflowers should be at their peak when you make this. Shake the elderflowers to remove any stray bugs and dust, then set aside. Put the sugar, citric acid and lemon slices into a heatproof bowl (I used a large stainless steel casserole) and pour the boiling water over them. Stir until the sugar is dissolved. With a pair of scissors snip the flowers off the stalks. The aim is not to include any of the very thick stalks. Stir the flowers into the syrup. Cover the bowl and put in a cool place to macerate for four days, stirring from time to time. After four days, strain the syrup through a fine sieve, or a colander lined with cheesecloth, then bottle and cork. 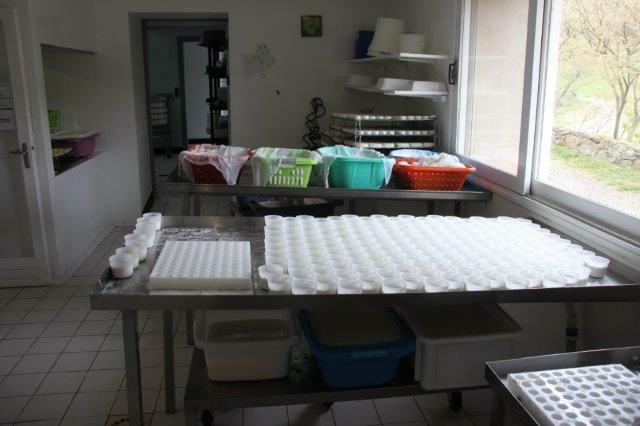 Because of the high sugar content the cordial should keep for some time. It is ready to be used immediately. Note: For a more tangy taste you could squeeze the lemons and use the juice, instead of the lemon slices. Elderflowers also make wonderful fritters, and I try to make them at least once each year, while the flowers are about. The following recipe requires a minimum of effort for a great result. 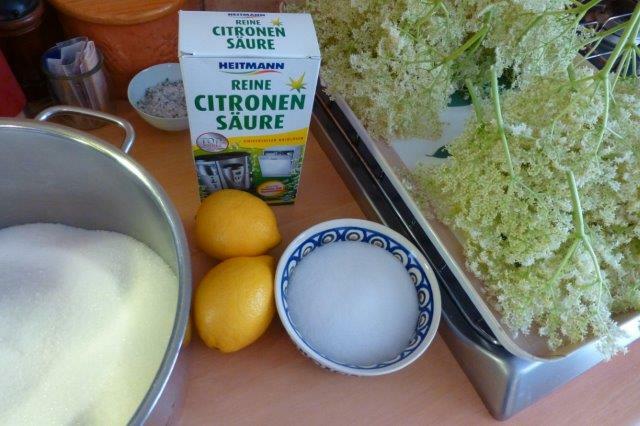 It is best to harvest the elderflowers just before you make the fritters; if you need to keep them for a few hours, put them into a plastic bag and keep them in the fridge. Shake the elderflowers, inspect for bugs and set aside. In a bowl mix the flour, salt and baking powder. Add the egg yolk and wine and stir to just combine – stirring too much will result in tough fritters. In another bowl beat the egg whites until stiff, then fold into the batter. The batter should be the consistency of heavy cream. If necessary add a tablespoon of water to thin it slightly. Heat some oil in a frying pan (I prefer peanut oil) over medium heat, until hot but not smoking. Holding the elderflowers by the long stalk dip them into the batter until all the flowers are well covered, and then place them in the frying pan. The number of fritters you are able to cook at the same time will depend on the size of your frying pan and the size of the flowers. Once the fritters are cooking, snip off the thick stalks with scissors. Turn the fritters over when bubbles begin to show around the edges. You may need to add some more oil after turning them. Cook until golden brown on both sides, remove, and put on a piece of kitchen paper to drain. Continue with the remaining flowers. 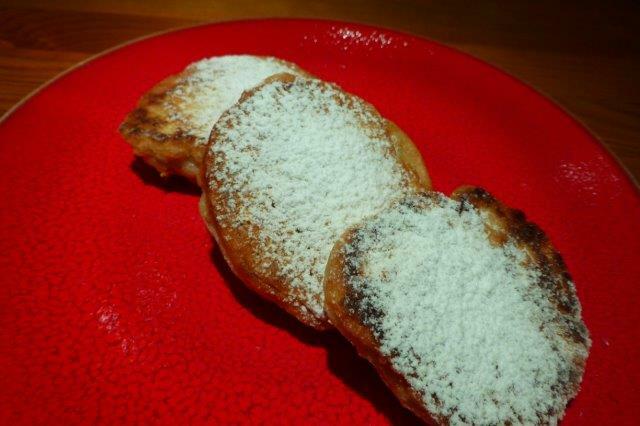 Dust with icing sugar and serve warm. 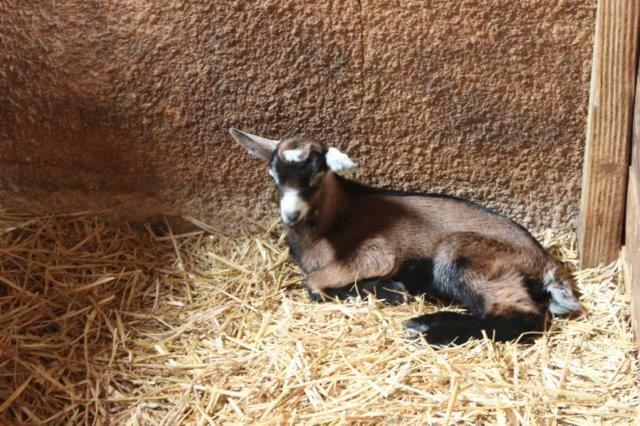 Apologies for the green-ish cast on some of the pictures!! The fritter recipe is very easy to multiply; I doubled it, but feel free to multiply it even more and invite all your friends over for this springtime treat!